In the second part of our six-part series “Tyre Tech Talk” in RiDE magazine, we looked at the relationship between pressure and grip. Often this is a contentious issue, with a lot of half-truths and incorrect advice available from a range of source. Continental have teamed up with our partner California Superbike School UK to help you make a more informed choice when choosing your tyres. As riders we are often looking for more grip from our tyres. However, unless you are riding a trials bike in a competition do not let air out of your tyres in order to try and get more grip. A number of more recent race tyres have been built with a stiffer construction, which allows the rider to run them at a lower pressure in order to achieve a bigger contact patch. However if you try this on regular road bike tyres you might well end up with a bigger contact patch, but also a potential loss of stability. 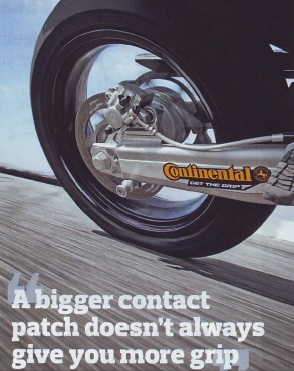 As Andy Peck of California Superbike School points out, a bigger contact patch doesn’t always give you more grip, and as with our previous article, its all about compromise. One of the keys to maintaining optimum levels of grip is regularly checking your tyre pressures. 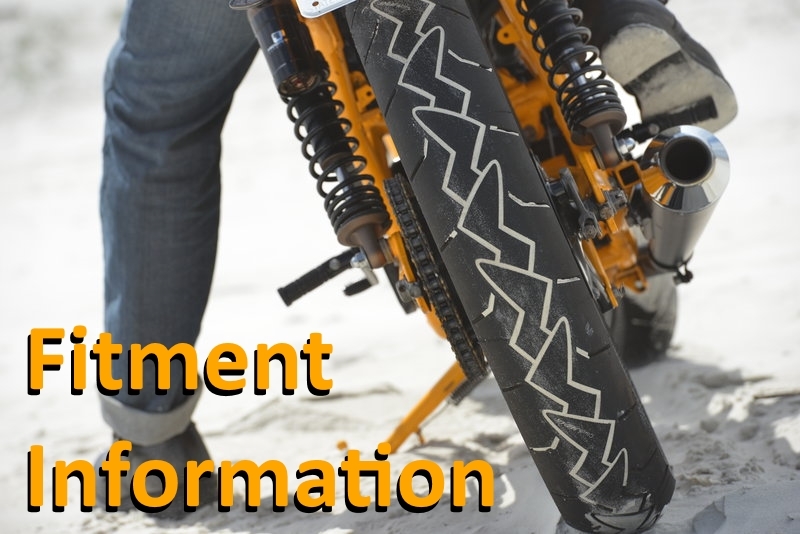 There will always be a certain loss of pressure over time so a once a week check should be the very minimum, and if you only use your bike occasionally then it is essential that you check your pressures every time before you set off when the tyres are cold. If the temperature of a rear tyre changes by 10 degrees celsius then the tyre pressure can change by as much as 1psi. Andy goes on to explain that if you were to be doing a track day on regular road tyres, you might need to drop the pressure slightly at the start of the day. However if youre setting off on a two up camping trip you might need to pump in a little extra air. 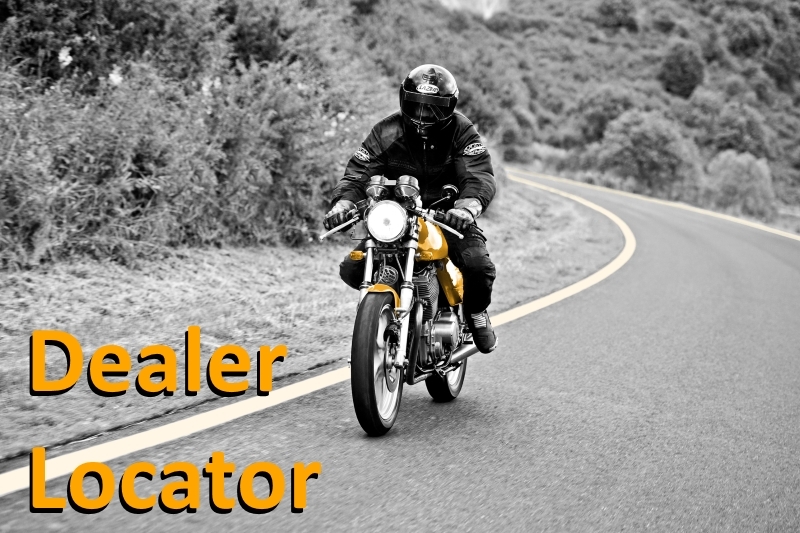 However he also points out that it is best to seek expert advice by talking to your local dealer, manufacturer or even a fitter at a track event as they all have plenty of up to date hands on experience. It is potentially far more serious to ride on under-inflated tyres as opposed to over-inflated tyres. Under-inflated tyres heat up more quickly, which affects the lifespan and in extreme conditions could cause them to fail completely. As Andy goes on to highlight however, over-inflated tyres also cause many problems. The ride will be harsher, the tyres will not warm up mas well and you’ll reduce both the contact patch and the ability of the tyre to follow the contours of the road, which reduces overall grip. As California Superbike School they use the legendary Slide Bike, which has 70psi in an old, bald rear tyre to teach how with careful use of the throttle even this can be controlled. Andy says he would “be much more concerned about an under-inflated tyre”. A good quality tyre pressure gauge is both essential and inexpensive. However as our UK brand manager Graham Matcham points out, you should be aware that any business offering free air is not required to calibrate their gauge with recent surveys showing that up to 40% of petrol station gauges are inaccurate. 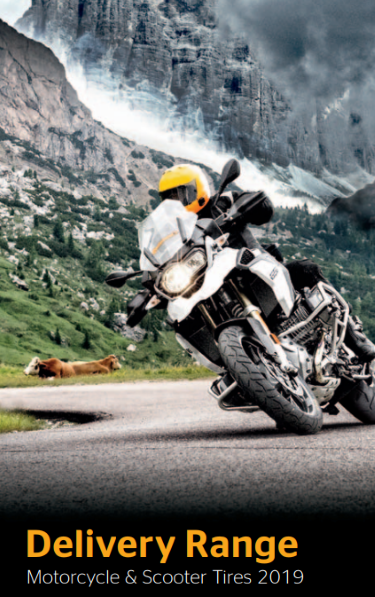 The main thing to remember is that you are aiming for the correct tyre pressure whilst your bike is in use. As youre not going to get as much heat through your tyres when riding on the road you want to start a lot closer to the recommended settings, and further away on the track where race tyres can even get up to 100 degree celsius. To keep track of pressures, take notes on what you try. Make a log of what works and what doesn’t so you have something to refer back to.